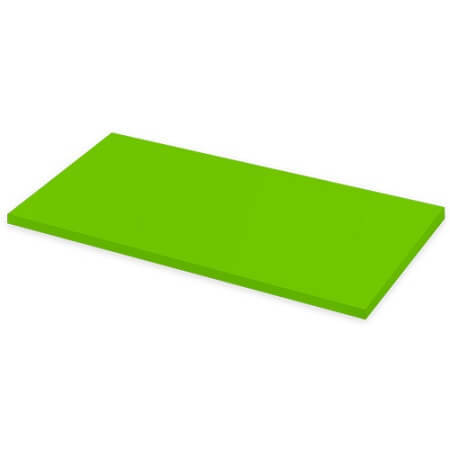 This Green Laminate Wood Shelf comes in cartons of four. 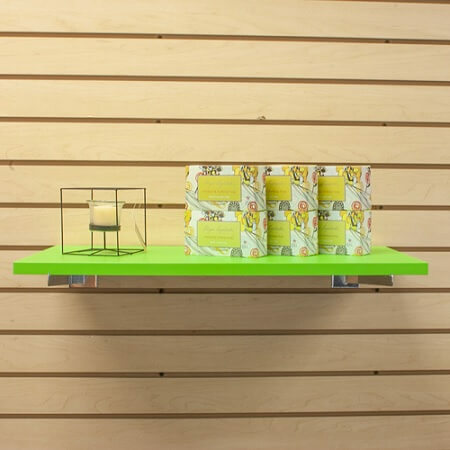 Four bright, apple green laminated wood shelving which features square edges for a clean appearance. 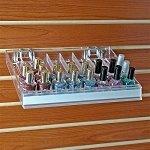 3/4" thick and 12-inches wide by 23-3/4-inches long the colorful shelf is compatible with 12-inch shelf brackets which are sold separately. If you peek below you will find the link to the brackets for easier shopping. 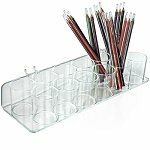 Bright colors are always more likely to catch the eye of anyone who comes near so when you choose to use these laminated shelves you are sure to increase profits. Exhibit your products for increased sales and add to your decor at the same time. Part of sales and profits is the visual shopping customers do as they walk around your location. 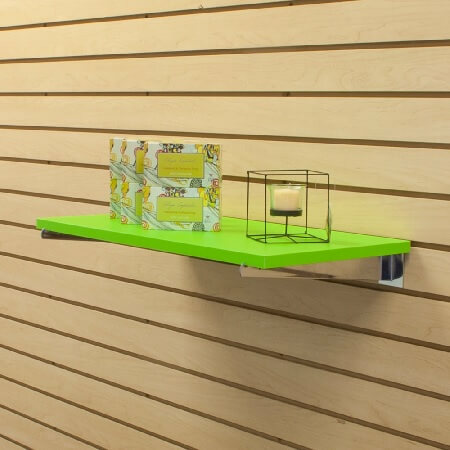 Picture frames, figurines, books, candles, and other decorative items will stand out on the slat wall accessory. Hang on your walls, slatwalls or grid panels using the optional brackets and take advantage of space throughout your store for impulse buys and great sales. Order yours today!